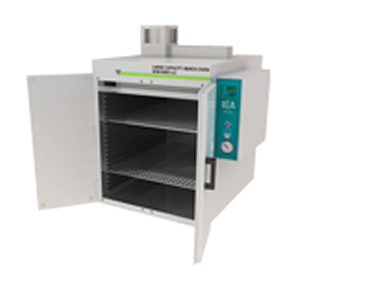 Large capacity bench ovens are provided with a fan forced circulation that offers work space temperature for testing applications. These are extremely economical and can be easily moved to various locations. These are designed to handle various applications that require maximum temperature of 4000F and with +0.5 % control accuracy and +80 F uniformity for efficient drying of large samples. These types of ovens are long lasting and can be available in both standard and customized designs. They are incorporated with international safety features that indeed protect the user from any hazardous substances and are definitely large in size that can accommodate number of products.